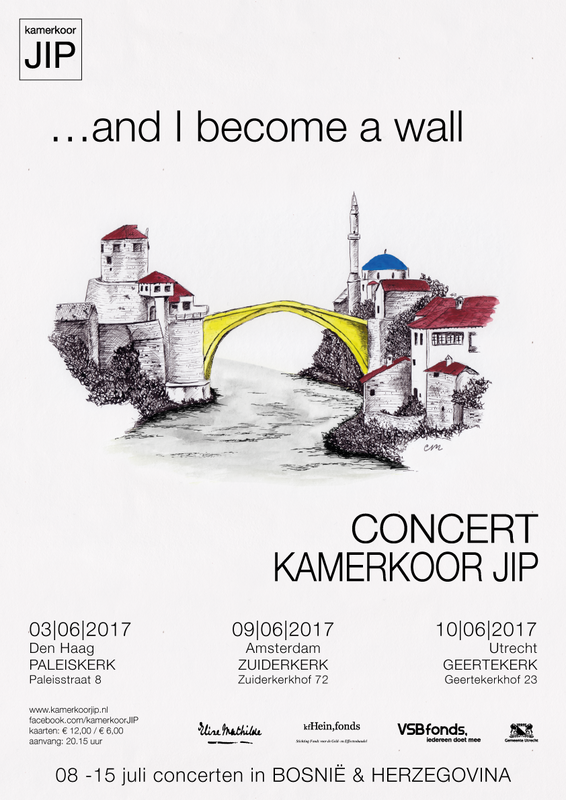 In June this year, the chamber choir JIP from Utrecht will present the project "... and I become a wall" through 4 concerts that will be held in Den Bosch, Den Haag, Amsterdam and Utrecht. Project title is a reference to the poem "The Wall" of Serbian poet Vasko Popa, which is also the basis of a composition of the Dutch-Serbian composer Gagi Petrović. In addition to composition “The Wall”, compositions of Stevan Mokranjac as well as compositions from other parts of the former Yugoslavia will be performed. - The Hague (Paleiskerk) 03.06.2017.